laid out across my bed but will need to be washed before I officially sleep under it. Here we go. 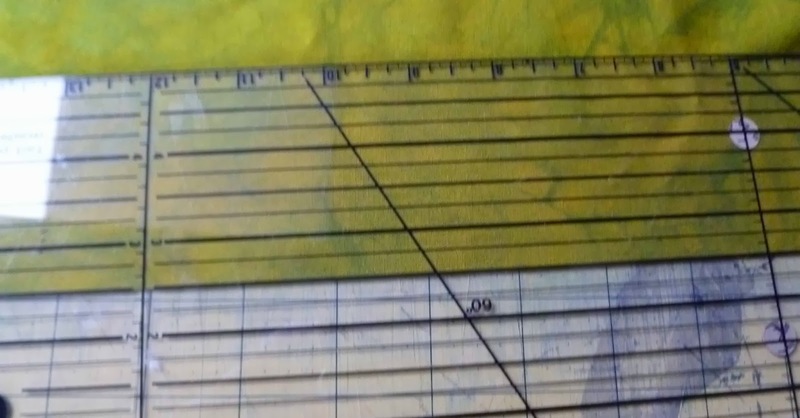 I had decided to do a 6" border on all four sides to give me the extra foot in width and length I needed. This was because of running out if fabric. I used the flip and sew method of attaching the first side. That was the side with the huge amount of extra batting I had included. The other 3 sides were a different story. 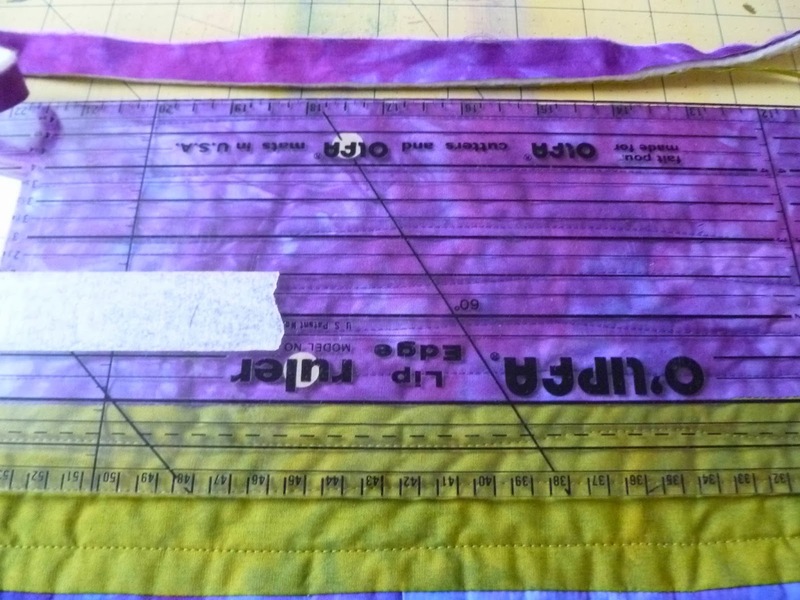 I had to zig-zag the extra batting on to the quilt then I stitched the 6" of border ( 2" green and 4" purple) on along with 6 " of other fabric for the backing. 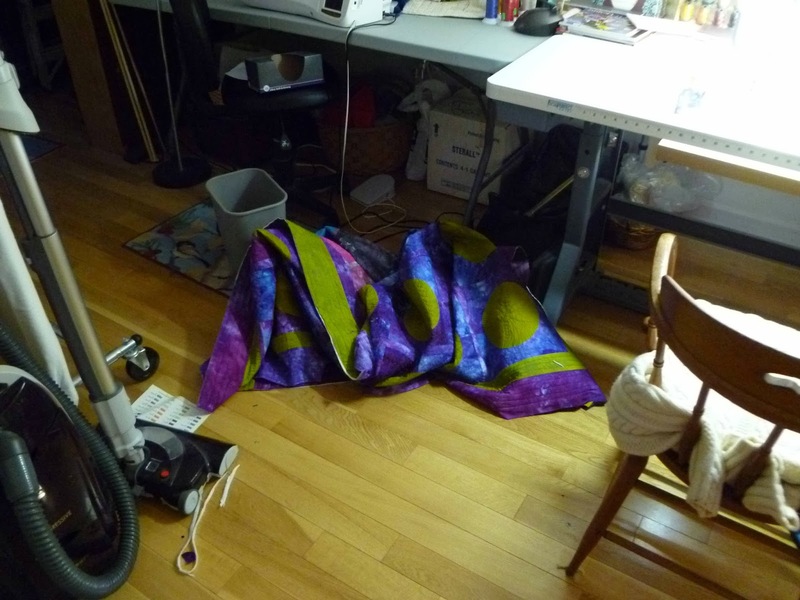 Boy, did I go through a lot of fabric making this quilt. Good thing it is for me. 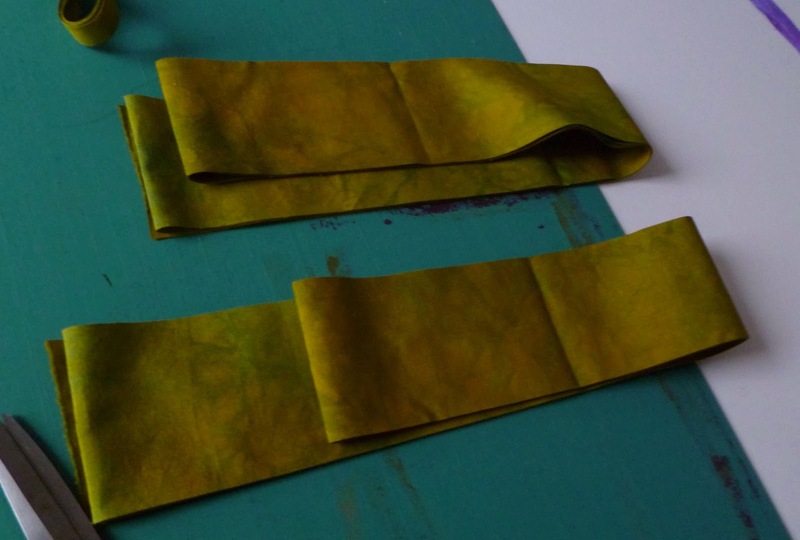 Cutting out the border fabric. I am writing this in a paragraph but it took me 2 days because one of the sides had a massive mistake and it had to be torn out - both borders and the batting. 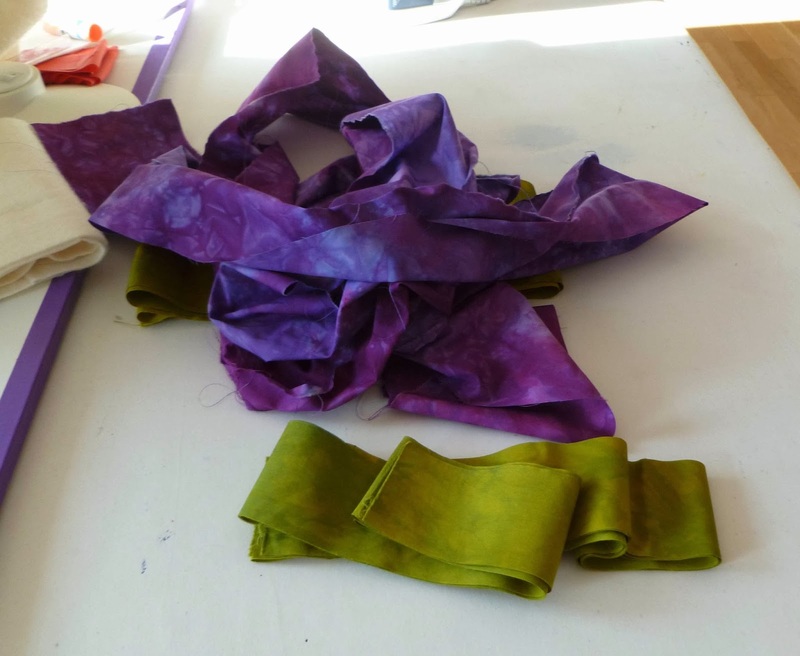 The borders (all of them) ended up looking like this - actually quite good!! Who would think a border could be so troublesome? 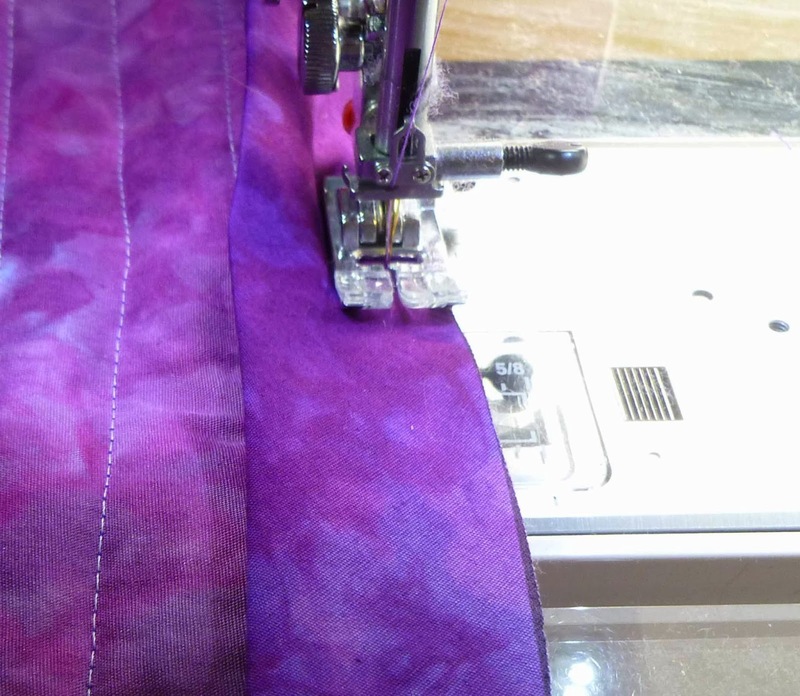 Then I trimmed the purple border to 4"
Flipped the quilt over and attached the bias binding to the front with nice mitered corners. This is why I am washing it. It spent the last week being dragged around my studio, thrown on the floor or falling on the floor. Plus there are little threads all over it so hopefully the dryer will pick them up. Lessons learned - READ the direction before you start or a project will take much longer than you think. 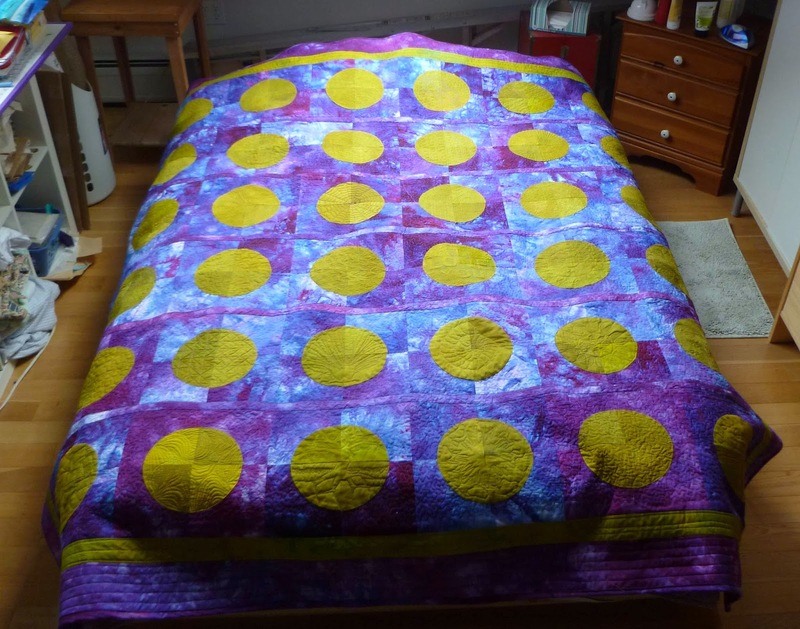 * Quilt washed on delicate, cold, with synthrapol and 2 color catchers. Dryed on delicate. Fabulous! And I'll bet it's nice and cozy after being laundered. 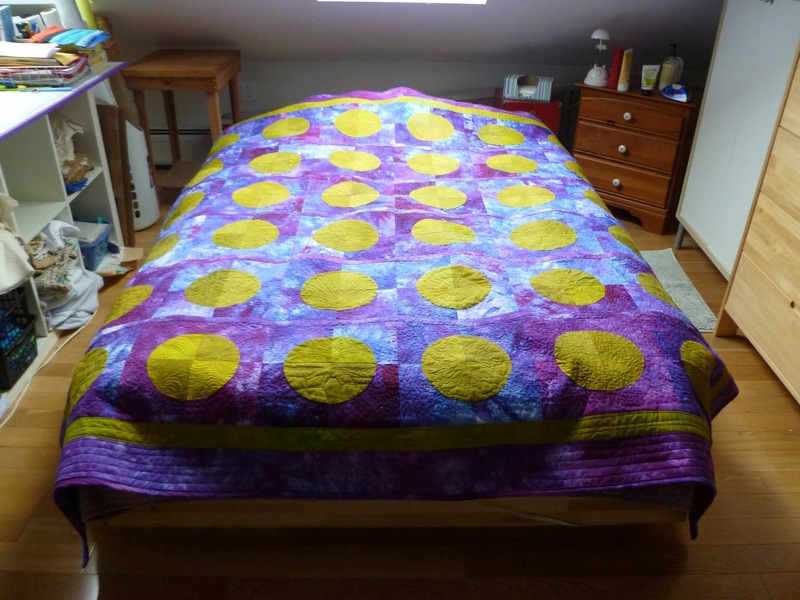 It is a wonderful quilt! Beautiful! Thank you for sharing your quilt journey with us. The colors are beautiful.I am glad that this one is for you. You deserve it. I love the quilt. Such beautiful colors and thought has gone into it. I am so glad that it is for you. Turned out so beautifully! I really love this color combination. Well worth the work! 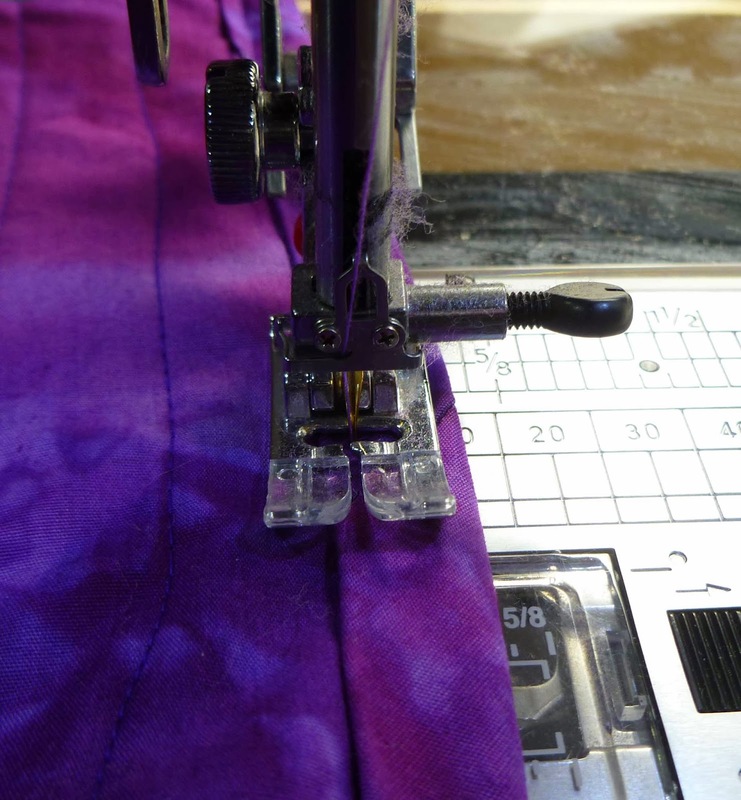 I've had some of the same problems with QAYG, ripping out lots of stitching, cutting too short and having to add on batting and fabric, but those lessons are learned forever! 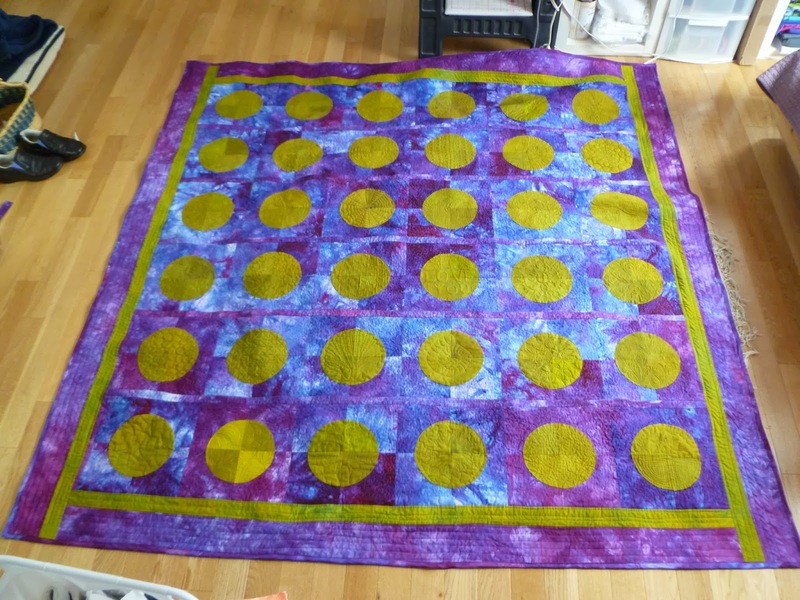 Perhaps a bit troublesome, but it turned out to be a great quilt! Hopefully the colorcatchers did to their job well! 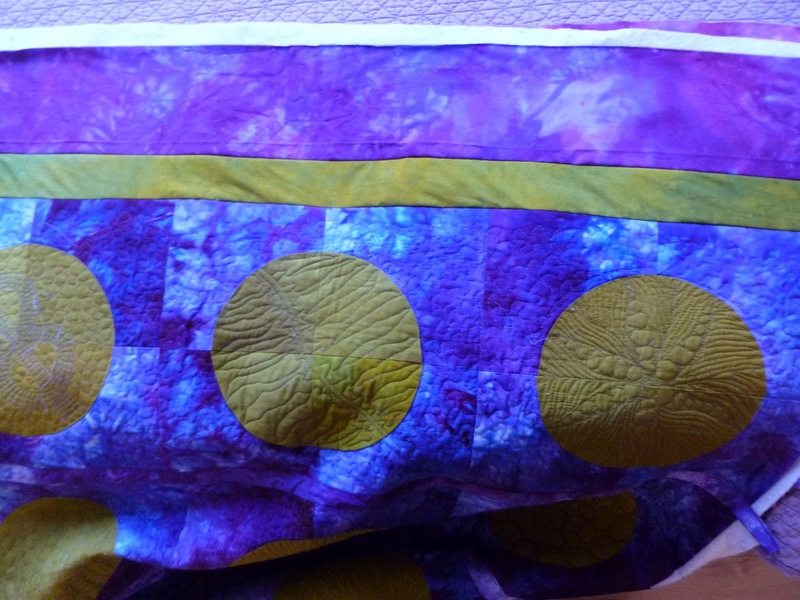 The colours are amazing, and Quilt as you go is not easy but it works good on large quilts.